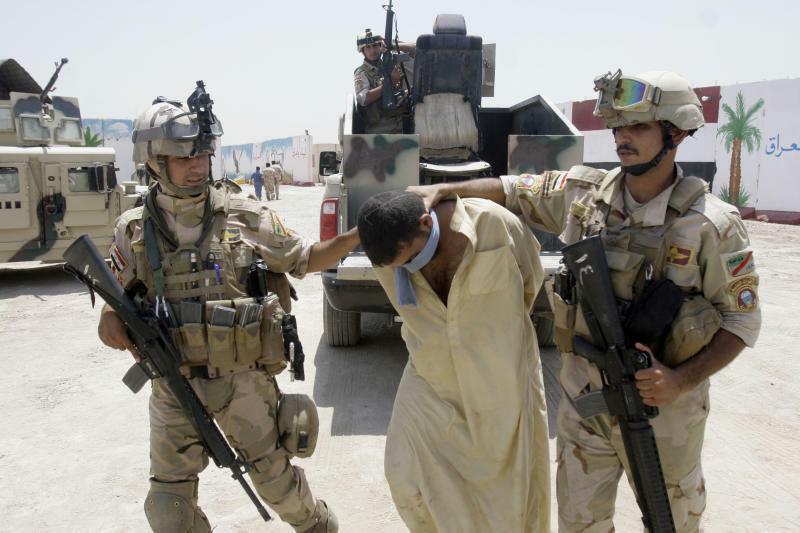 BAGHDAD (AP) — Militants downed an Iraqi army helicopter on Thursday in clashes that have killed at least 19 people including 11 policemen, a regional official said, in what appeared to be part of an al-Qaida surge to retake one of its former strongholds. The fighting around the town of Hadid, about 10 kilometers north of the Diyala provincial capital of Baqouba, follows a warning last weekend from al-Qaida's leader in Iraq to push back into areas the group was driven out of by the U.S. military after sectarian fighting peaked in 2007. A day after al-Qaida issued the threat, shootings and bombings killed 115 people in Iraq's deadliest day in more than two years — an assault for which the terror group claimed responsibility. Diyala provincial spokesman Salih Ebressim Khalil said militants opened fire Thursday on the Iraqi army helicopter, killing one soldier, wounding another and forcing the aircraft to make an emergency landing. The rest of the crew was unharmed. The helicopter was called in to provide surveillance for security forces battling militants since an attack late Tuesday on a security checkpoint in a rural area near Hadid, some 70 kilometers (45 miles) northeast of Baghdad. Despite police efforts to seal off the area, gunbattles raged overnight Wednesday, killing 11 policemen, Khalil said. According to provincial police and health officials, seven militants also were killed in the clashes and eight were arrested. The officials spoke on condition of anonymity because they were not authorized to release information. Diyala is a predominantly Sunni province that is sandwiched between Baghdad and the Iranian border. It has a large Shiite population, as well as pockets of ethnic Kurds, and long has been a battleground for Sunni insurgents trying to assert control. 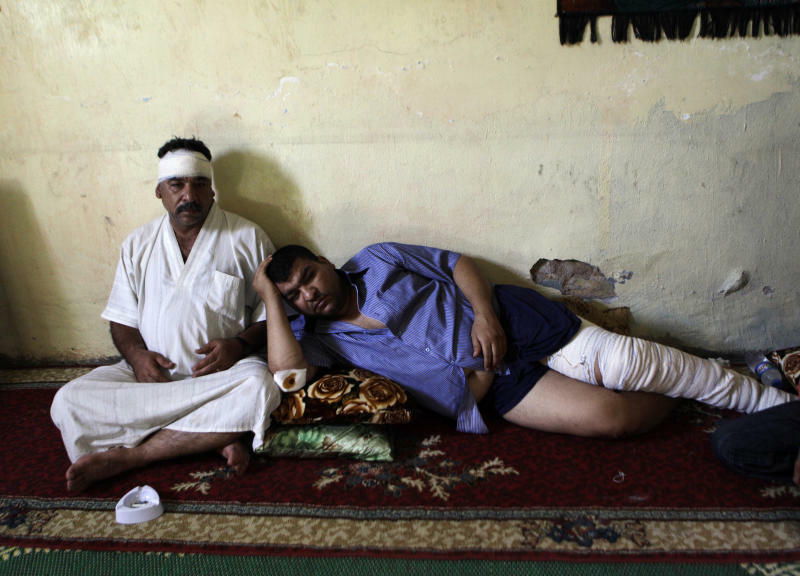 Its remote rural areas have served as a safe haven for insurgents at the height of the nation's sectarian fighting between 2005 and 2007, and posed a major challenge to Iraqi security forces. In a statement posted on a militant site last Saturday, local al-Qaida leader Abu Bakr al-Baghdadi announced a new campaign dubbed "Breaking the Walls." He said it sought to undermine the nation's weakened Shiite-led government by realigning with Sunni tribes, and returning to areas it was driven from before the American military withdrew from Iraq last December. Al-Qaida's local wing in Iraq is known as the Islamic State of Iraq, and has for years had a hot-and-cold relationship with the global terror network's leadership. Both shared the goal of targeting the U.S. military in Iraq and, to an extent, undermining the Shiite government that replaced Saddam Hussein's regime. But al-Qaida leaders Osama bin Laden and Ayman al-Zawahri distanced themselves from the Iraqi militants in 2007 for also killing Iraqi civilians instead of focusing on Western targets. 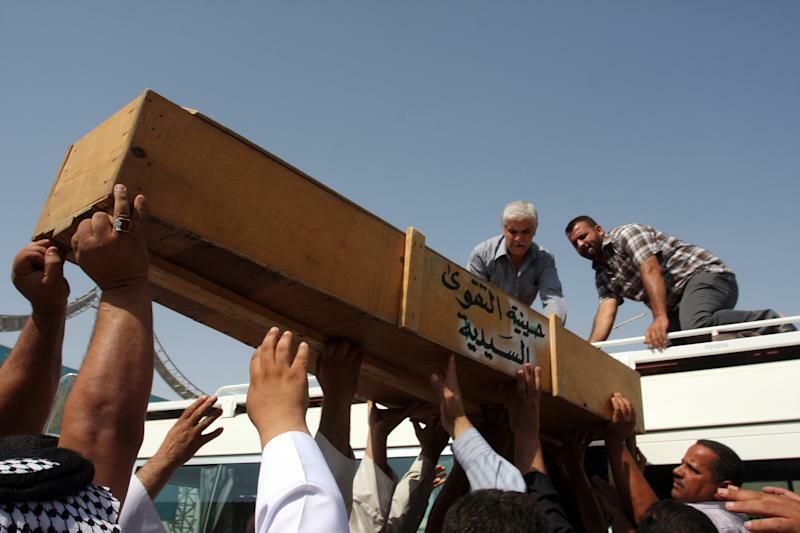 Generally, al-Qaida in Iraq does not launch attacks or otherwise operate beyond Iraq's borders. But in early 2012, al-Zawahri urged Iraqi insurgents to support the Sunni-based uprising in neighboring Syria against President Bashar Assad, an Alawite. The sect is a branch of Shiite Islam.